If ever there was a day we wanted the weather to be kind then this was it. When planning our itinerary this was the one day we had mulled and worried over for quite a bit although we had walked a fair bit of today's leg last year. 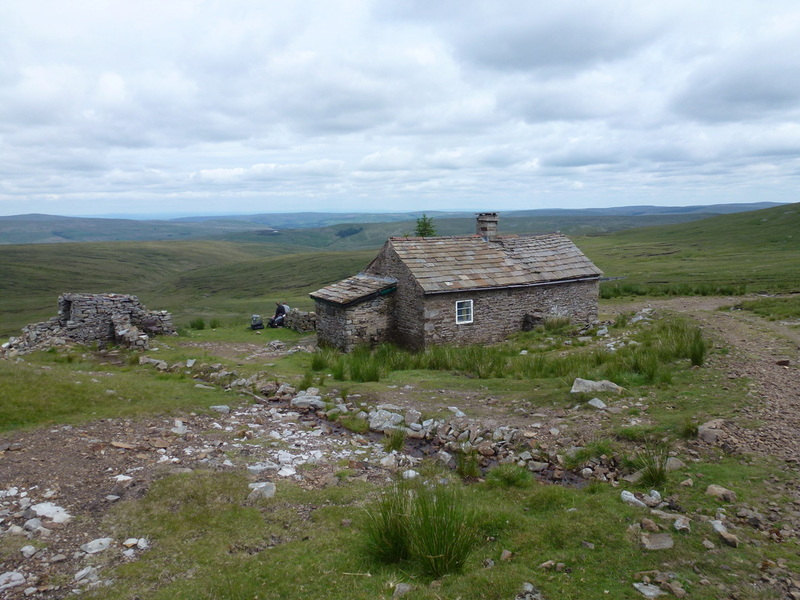 Accommodation constraints meant that we would have a 20 mile day all the way to Alston but we were not overly worried as long as the weather held. This is why we were intending to do the next day’s leg from Alston to Greenhead over 2 days but as you will read later this was not to be the case. The forecast was for strong winds and rain therefore we would wait and see and just take it in our stride - literally. After a fine breakfast at Bongate, John dropped us off at the entrance to a narrow lane at the bottom end of Dufton. We ordered a packed lunch each from John as there would be no places to purchase food until Alston. 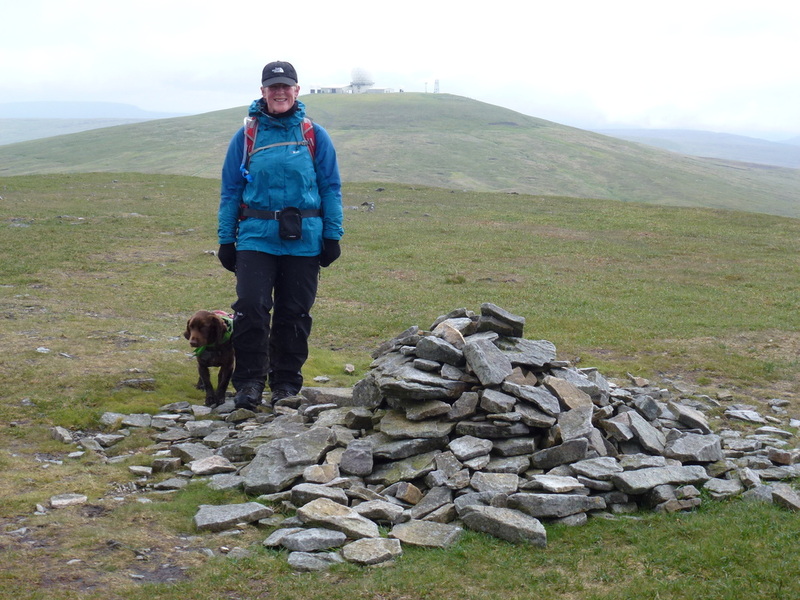 Today's leg would take in Cross Fell, a notorious mountain famous for both its Helm Wind and large plateau summit that can be misleading in mist. 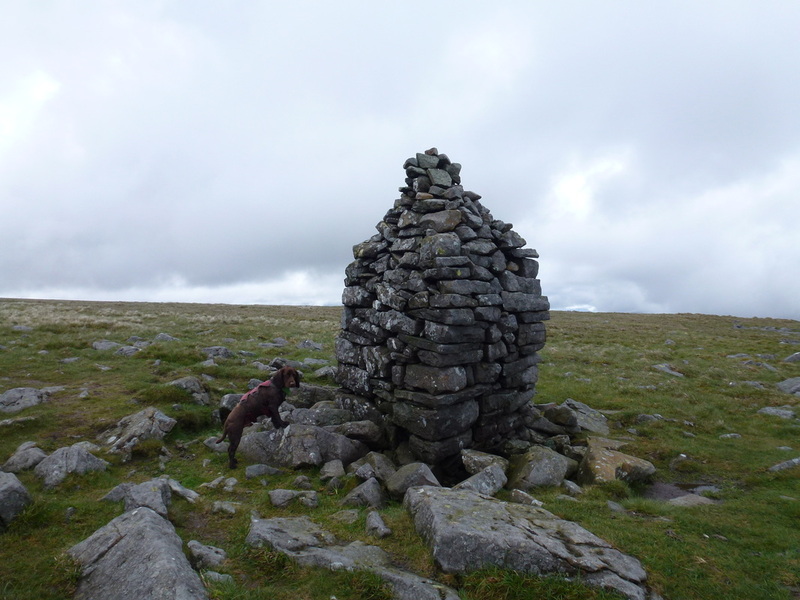 At nearly 3000ft this is the roof of the Pennines and is the highest point in England outside the Lake District. Yes the route today was a long way but we knew if we could get over the other side of Cross Fell without mishap then we would be ok.
How far? 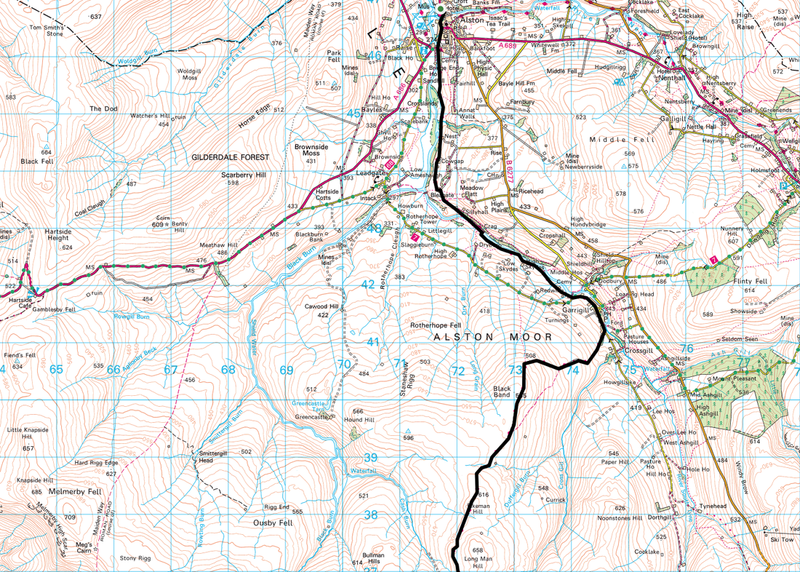 Plus the 5 miles to Alston on top of that. The departure from Dufton is via a narrow lane that leads to Coatsyke Farm, continuing on past the ruined farm at Halstead. From Halstead the path dropped down to a slab bridge to reach a rising track leading to Moor House Nature Reserve. The path now started to rise considerably alongside a stream to eventually pass to the left of Knock Hush. 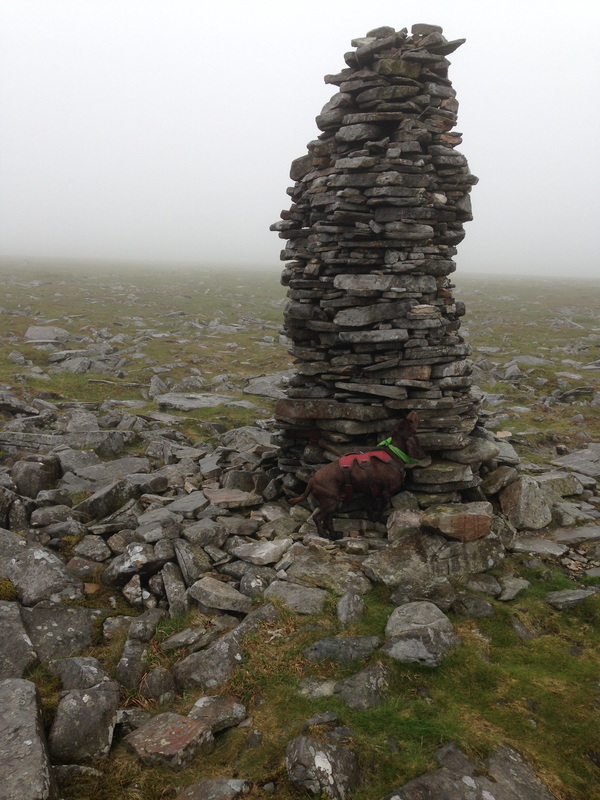 Gaining height in the enveloping mist, whilst the path was clearly in evidence, there were plenty of marker and guideposts on the ascent plus a few large cairns and we eventually came to the biggest of the lot at Knock Old Man. 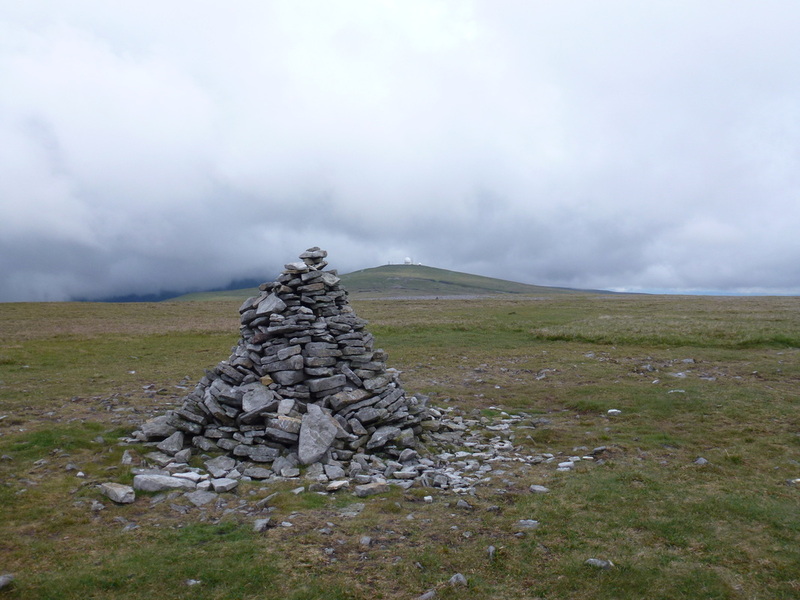 A few hundred yards from the cairn is the summit of Knock Fell and we could see our onward path clearly heading over to the access road below Great Dun Fell. 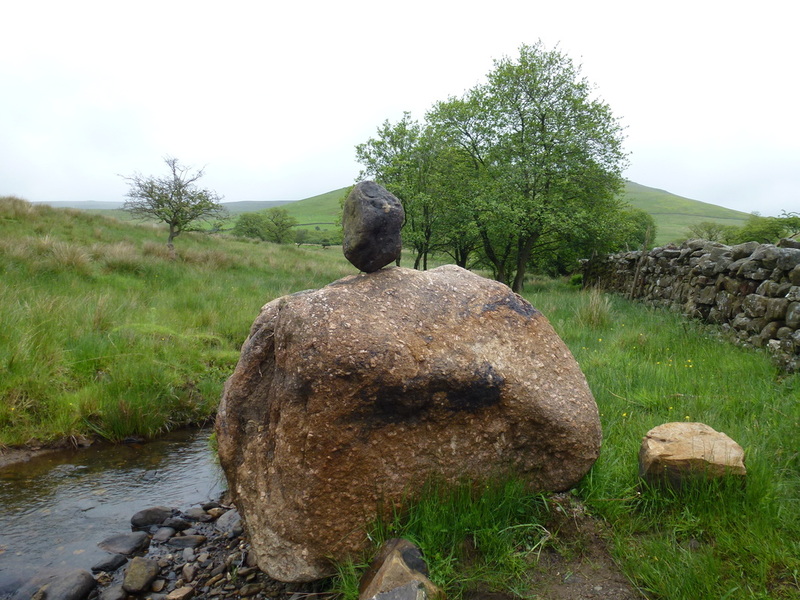 Rock balancing as we leave Dufton - how is that possible? 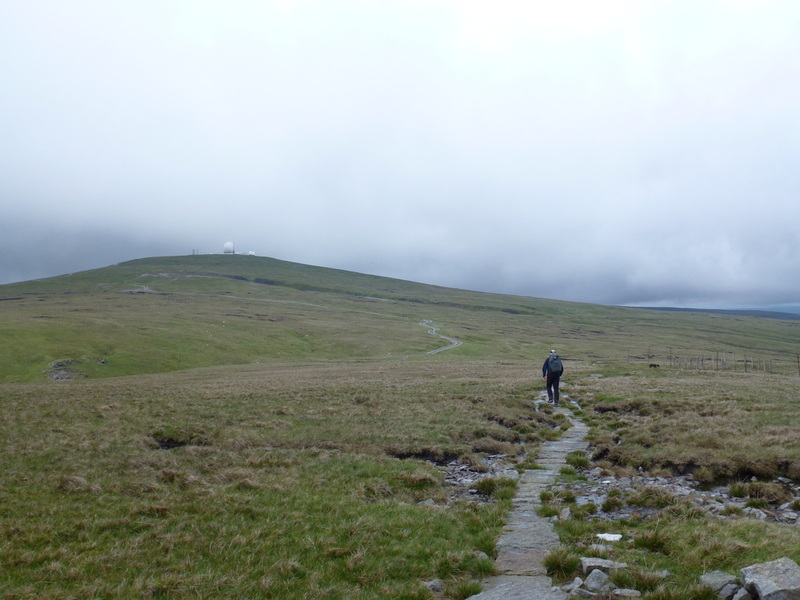 We headed along the stony path that soon became slabbed and arrived at two tiny tarns which the path cut through before arriving at the Radar Station access road. Soon the route left the road and dropped into Dunfell Hush before climbing back out again and we then started the gradual ascent to the summit of Great Dun Fell. The Pennine Way cuts across the fell just below the huge golf ball on the top and it was here that the wind increased making walking difficult and to make matters worse it started to rain heavily. From Great Dun Fell we dropped down into a col before the short pull up to the summit of Little Dun Fell and the large wind shelter which would have come in handy today but we pressed on. 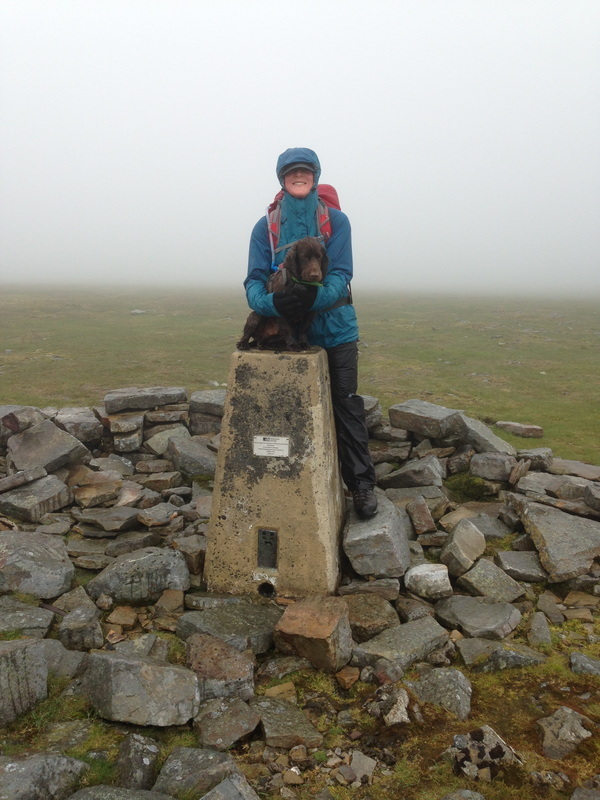 From the summit we now realised that our concerns over the weather on Cross Fell were right - the steep rise to the summit plateau was undertaken in a very strong headwind and torrential rain. Reaching the impressive and very new summit shelter, the weather calmed down a little enabling some photography although we didn't hang around too long. We were up on Cross Fell last year when the replacement shelter was in the process of being built - the builders have done an excellent job. 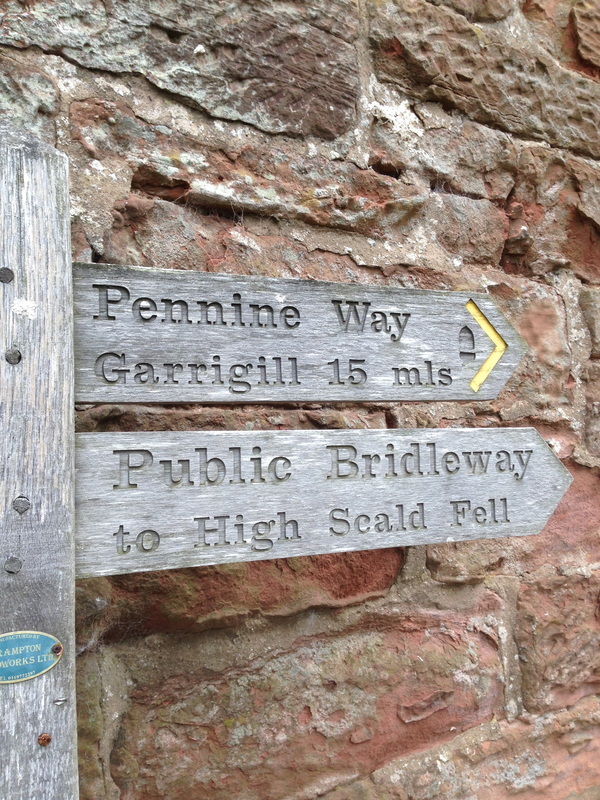 It was now time to get down to the safety of the Corpse Road path that would take us all the way to Garrigill. As we left the summit the visibility decreased to about 20 yards therefore Dave decided to take a bearing on the Corpse Road - we knew there was a Pennine Way marker at the bottom of the descent but aimed off well left of this in order that if we did miss it we would know to turn right and we should be able to find it. Whilst we had the GPS, it was raining so hard now that it stayed in the rucksack. 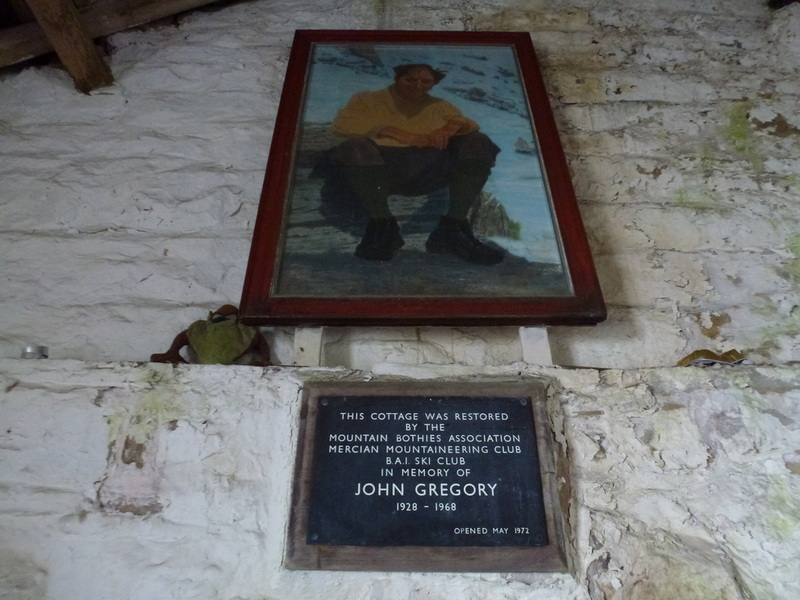 We arrived at the Corpse Road path (so named as it was used to ferry bodies from Garrigill to Kirkland for burial) and still it continued to chuck it down with rain and our main aim now was to get to the safety of Greg's Hut Bothy to dry out and have a bit of lunch. 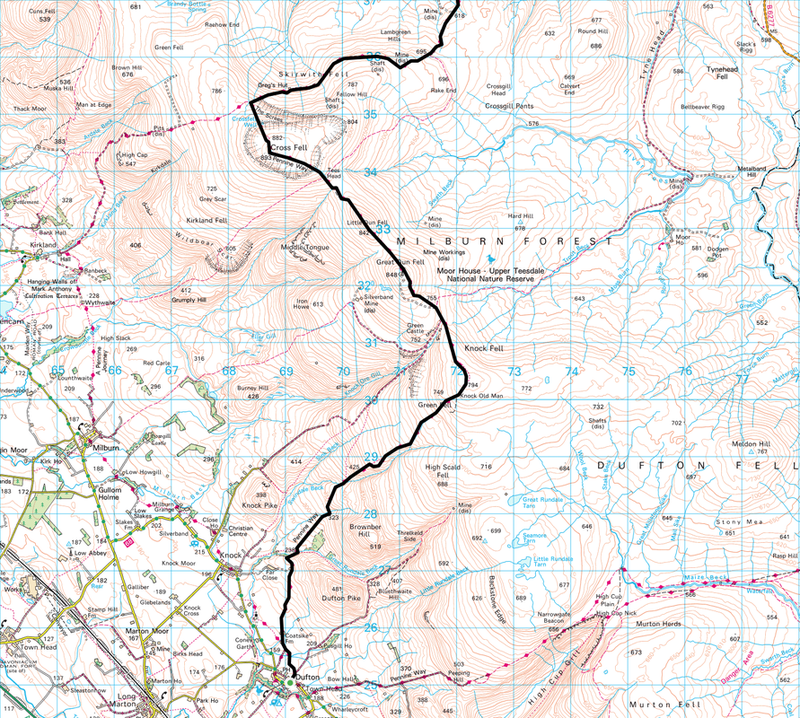 With the Pennine Way marker located it was a simple question of following the excellent Corpse Road path to Greg's Hut. 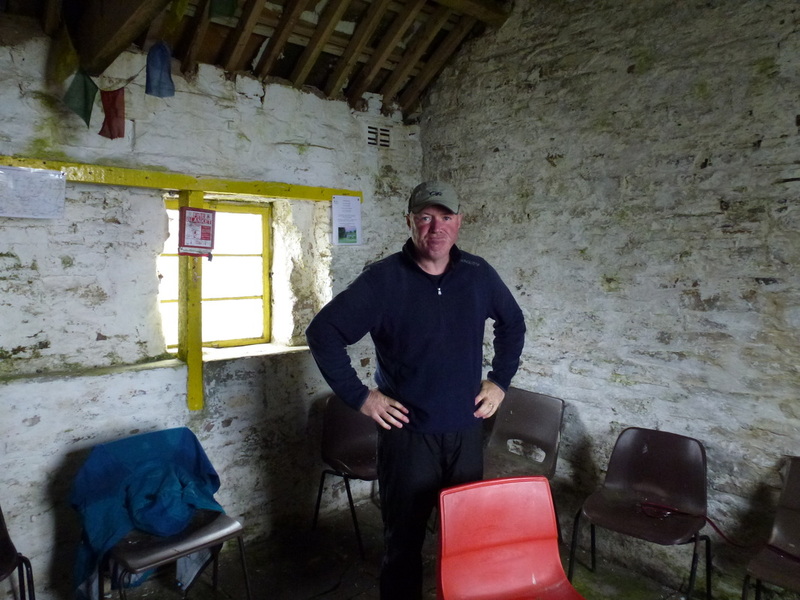 The hut is run by The Mountain Bothy Association and provides very good shelter for walkers and is surprisingly comfortable. Drier than when we arrived, we departed Greg's Hut and were pleased to see that the rain had stopped and the wind had abated. The route now continued along the stony but fairly level track of the Corpse Road - we had been on this track last year and it did seem longer today! The path passes along Backstone Edge before beginning a long and fairly straight route into infinity, or so it seemed. 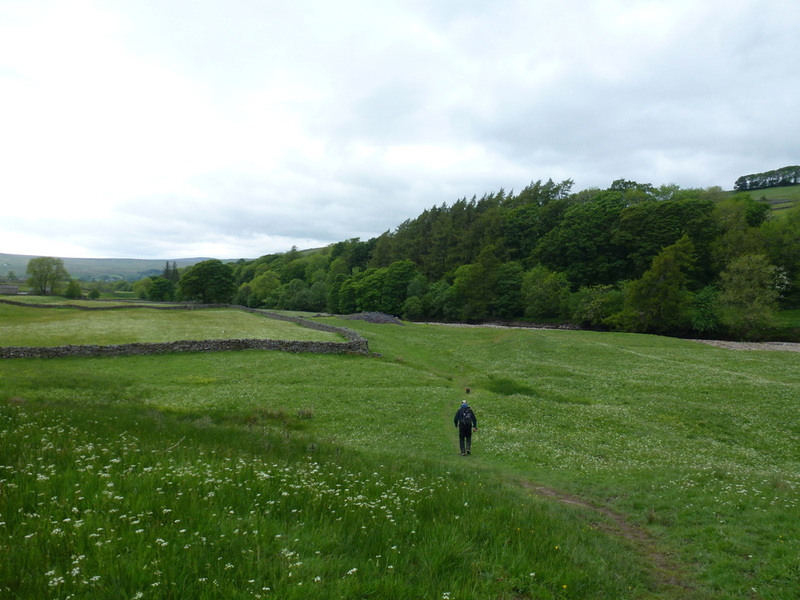 We just put our heads down and ploughed on, passing the hills of Pikeman and Longman before arriving at a small pool and gate leading on to a walled track. We knew we were not that far from Garrigill and this was borne out as we rounded a sharp right hand bend in the track to view the village sat in the valley below. It still seemed to take ages to get there but we eventually arrived and took a breather on the village green. Glancing across the green it was good to see the George & Dragon pub open again - hopefully the new tenants will keep it open for a while although the establishment has a history of closing down and then reopening again. Two walkers came out of the pub and we had a brief chat. 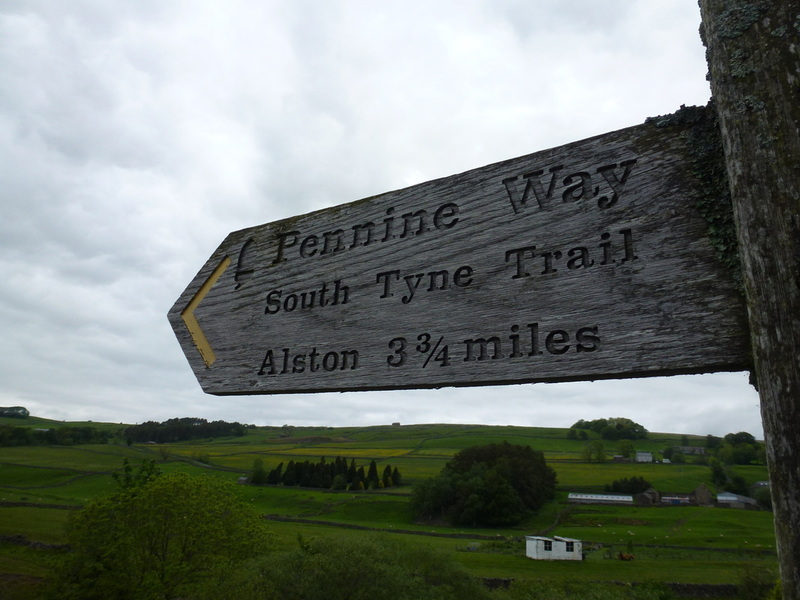 The two chaps were also walking the Pennine Way and were off to Alston - these were the first Pennine Way walkers we had seen since Day 2. They then proceeded to walk the wrong way out of the village!! We watched them walk a bit further on and before we called them back they realised their mistake and turned around. One of the villagers then came up to us and asked us if we were Mr & Mrs Walsh - alarmed by this question we said we were. 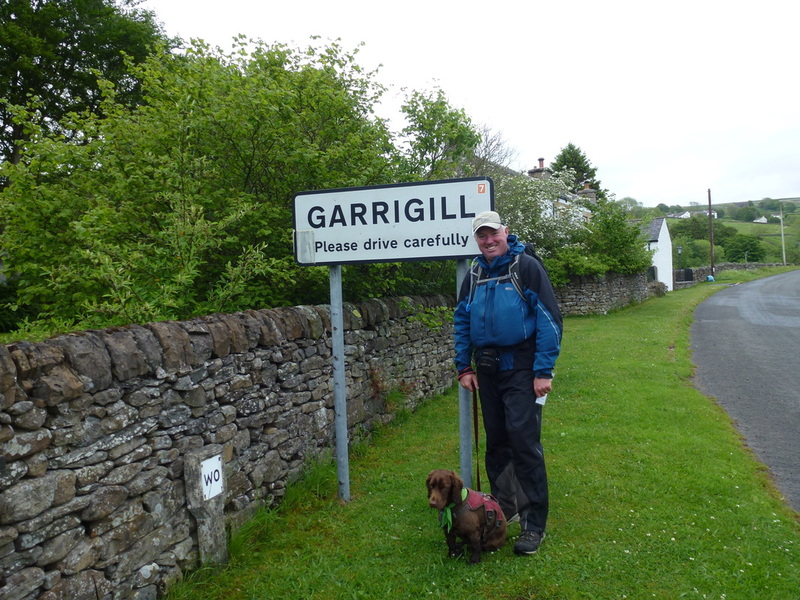 This was Bob, our Brigantes Baggage Transfer driver who just happened to live in Garrigill and spotted us as he was walking his dog. Although he didn't know it, Bob was to be our saviour tomorrow when our plans changed at short notice. 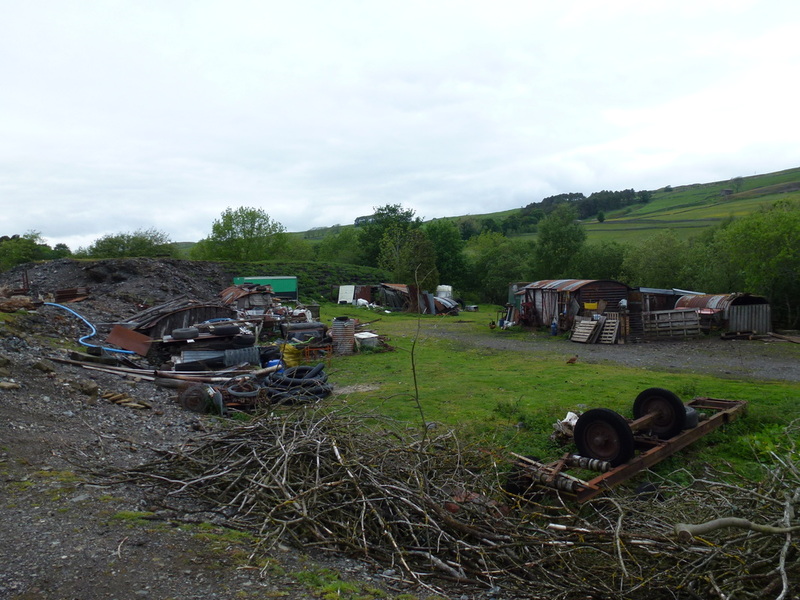 Rested up and having had a snack, we left Garrigill and passed a farmyard come scrapyard before joining a lovely riverside path along the South Tyne. 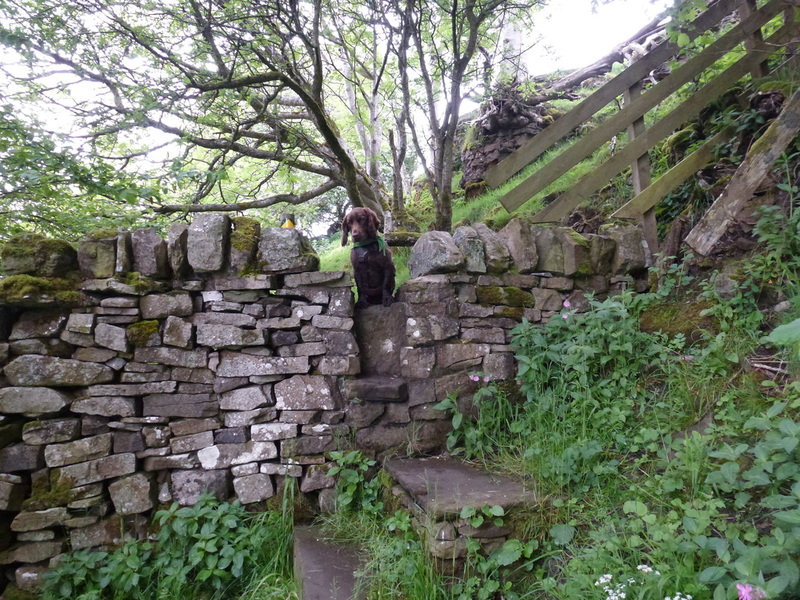 We were starting to feel pretty tired now and the 5 miles to Alston seemed to take forever, particularly with the obstacle course of stone stiles and sprung gates that lasted almost the entire way. 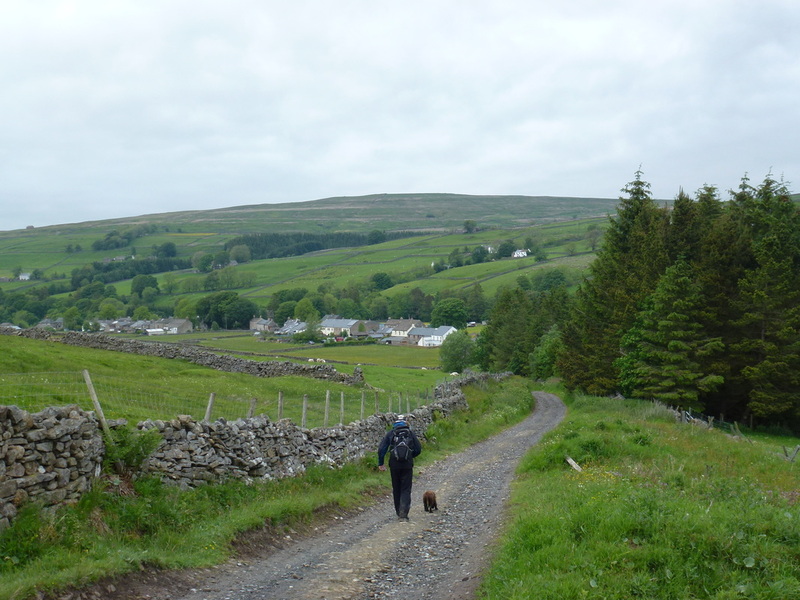 The route continued on over farmland and passed through several farms before finally arriving at a narrow lane that led into Alston. We left the official route at the bridge and walked up through the town, firstly stopping off at the Spar Garage to purchase a carpet picnic - we simply could not be bothered eating out tonight. Loads of these stone stiles to negotiate which made the last few miles a tad tedious - but hey, that's walking! Our room for the night was at the very top of Alston at Lowbyer Manor Country House. A lovely old property with a bar therefore after a shower and something to eat we relaxed in the lounge with a beer and contemplated the day. 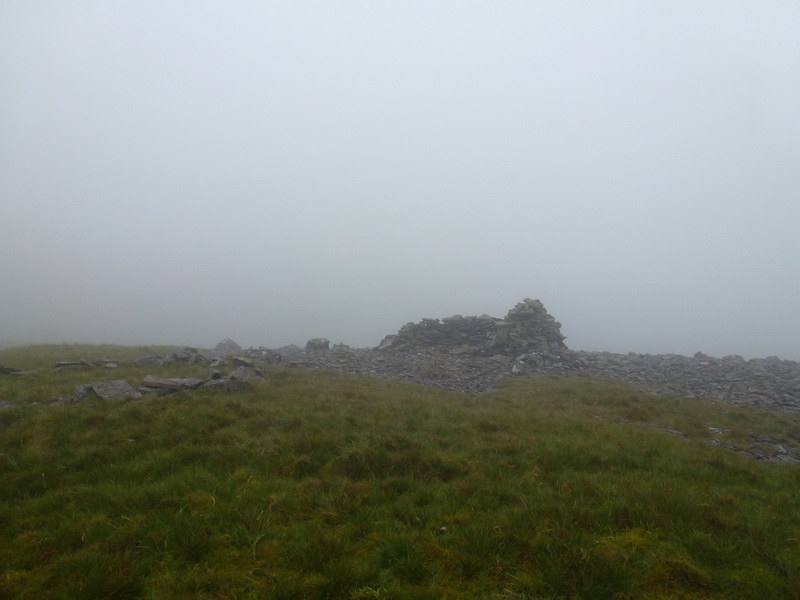 We had taken 9 hours to walk just over 20 miles in pretty dire conditions for the most part. 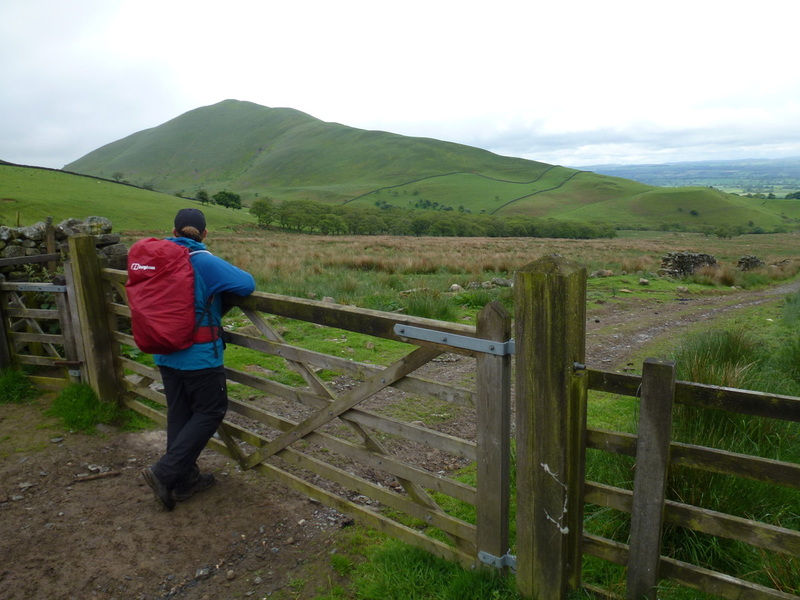 That is long distance walking for you - and that is what makes it so special in knowing that no matter what the weather is doing you have to adapt and get to your next port of call. Still a great walking day! 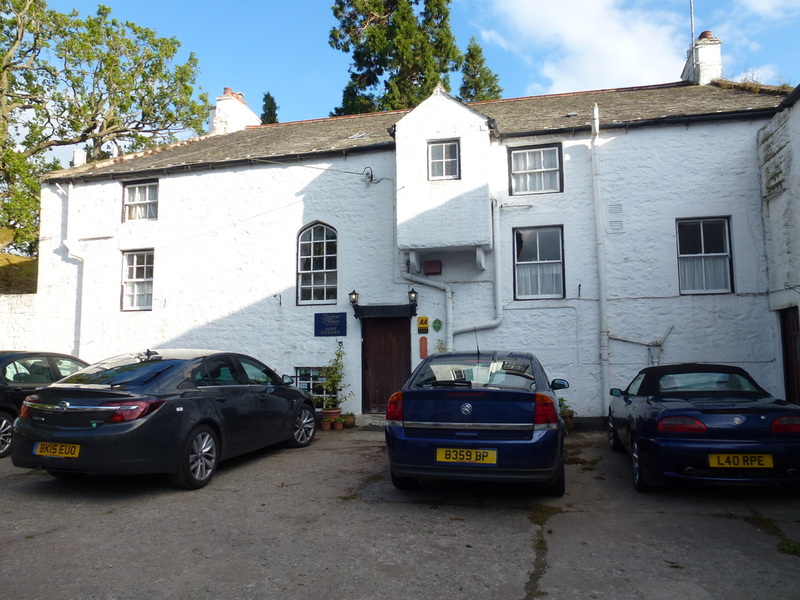 Thanks to the flexibility of Richard & Laura at Lowbyer we were able to change our plans at very short notice - read on to see why we had to have 2 nights here instead of one!! 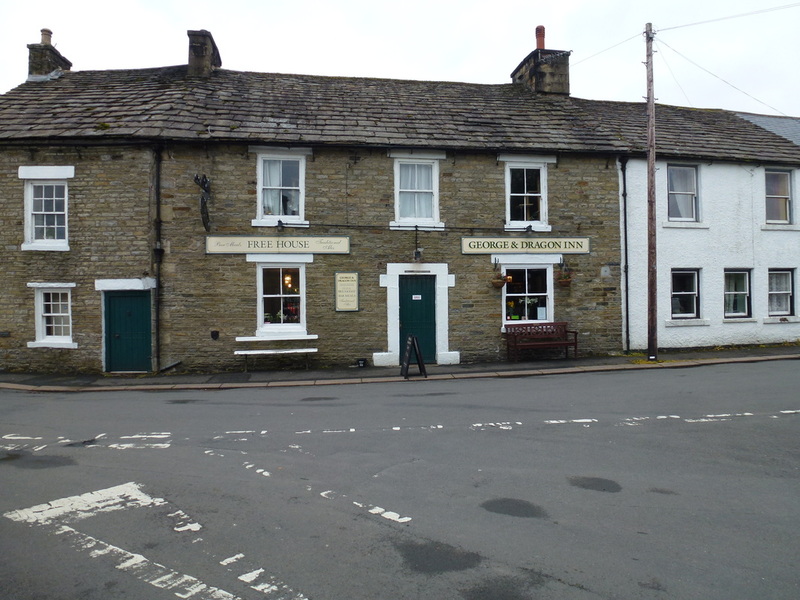 A very nice B&B with good facilities about half a mile outside Alston. We did not eat out in Alston - we had two nights of carpet picnicking!